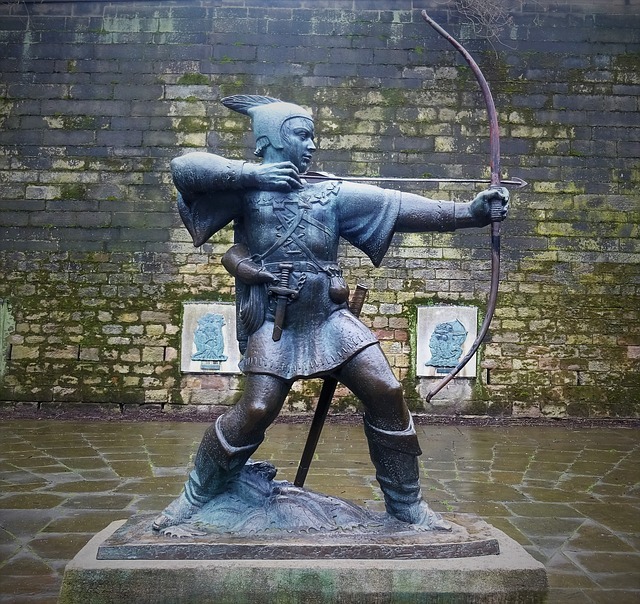 Producer and writer of the Augustine Institute Radio Theatre (AIR Theatre), Paul McCusker, revealed in an interview on the podcast Faith & Culture that the next audio drama will focus on the life of Robin Hood. In the July 30, 2018 episode of the podcast, host Joseph Pearce asked McCusker, "Why Robin Hood?" His reply was, "Having done three dramas about Saint Francis, Saint Patrick, and then Saint Cecilia, we were discussing a redirection. We don't want to be strictly Saints Radio Theatre. We want diversity of the kinds of subjects we're taking on." "I think families love Robin Hood," says McCusker and explained that he's using the 1912 novel, Robin Hood and the Men of the Greenwood, by Henry Gilbert as the basis for the audio drama script. He said that the audio drama will explore the moral issues, such as thievery, that arise from the tales of Robin Hood. The story will evaluate Robin as a man from a biblical, cultural, and historical context. The team traveled to London in July to begin production with the recording of the actors for the audio drama. At this stage, there are no further details available, but judging by past release schedules we expect this to release sometime later this year. What do you think about this choice of the main character for AIR Theatre?